Hocking Correctional Facility in southeastern Ohio has been empty for about a year. 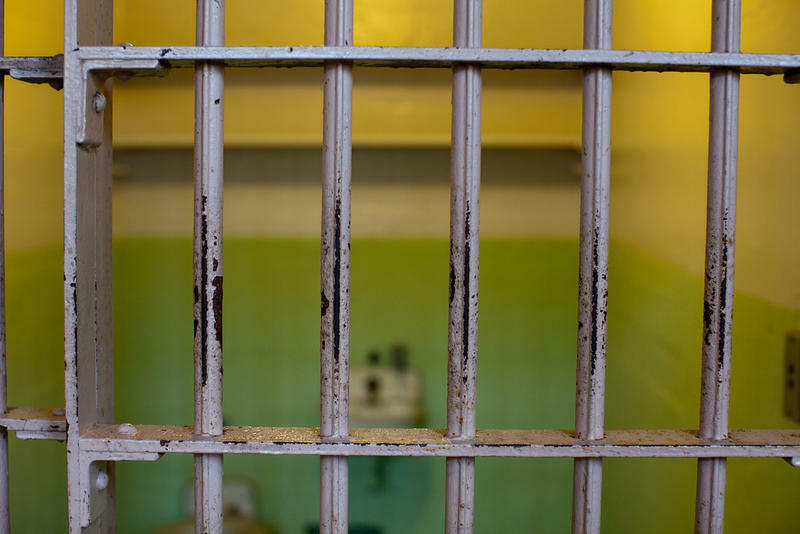 It may take on a new life as a jail for women struggling with substance abuse issues. It’s raining and overcast as Jason Ware of the Ohio Department of Rehabilitation and Correction fumbles with a large set of keys. It’s clear no one has been inside the jail for months — the gates squeak open and Ware swats at cobwebs that hang in the doorway. Despite the ominous setting, Rick Hodges from Ohio University’s College of Health only sees potential. Hodges is part of the Appalachian Recovery Project, a coalition that formed in March 2018 when Hocking Correctional closed. The group is made up of public health officials, university professors and the local sheriff and judge. Together, they’ve come up with a new use for the prison: They want to turn it into a jail for women who committed misdemeanors and are struggling with addiction. 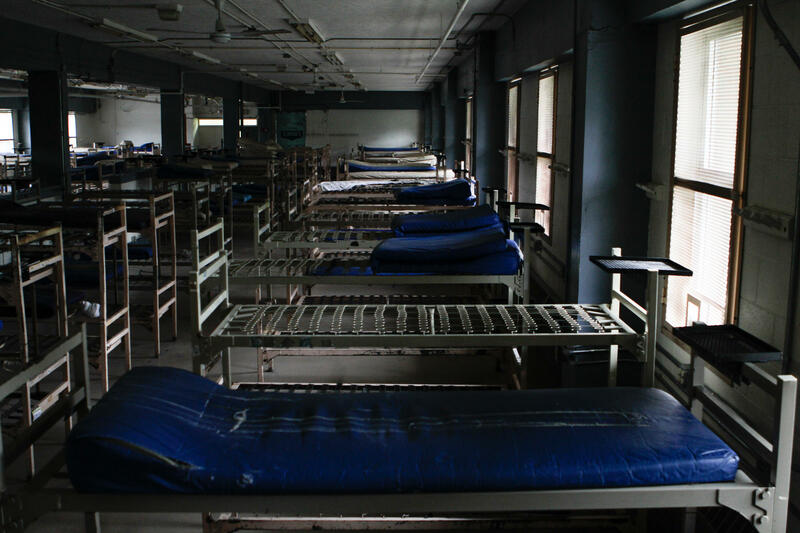 Rows of beds at the now-closed Hocking Correctional Facility. The facility is specifically geared towards women because of a shortage of bed space for female inmates, Hodges says. The group hopes that Hocking could provide women with a chance to get treatment before it’s too late. Studies have found that when inmates addicted to opioids are released, their chances of fatal overdoses are significantly higher than the general population. The Ohio Department of Rehabilitation and Correction agreed to lease the facility for $1 a year, as well as chip in up to $7 million over the next 10 years to help get it up and running again. The Appalachian Recovery Project aims to operate the facility with a mix of funding, including federal and local grants, private sources and Medicaid. 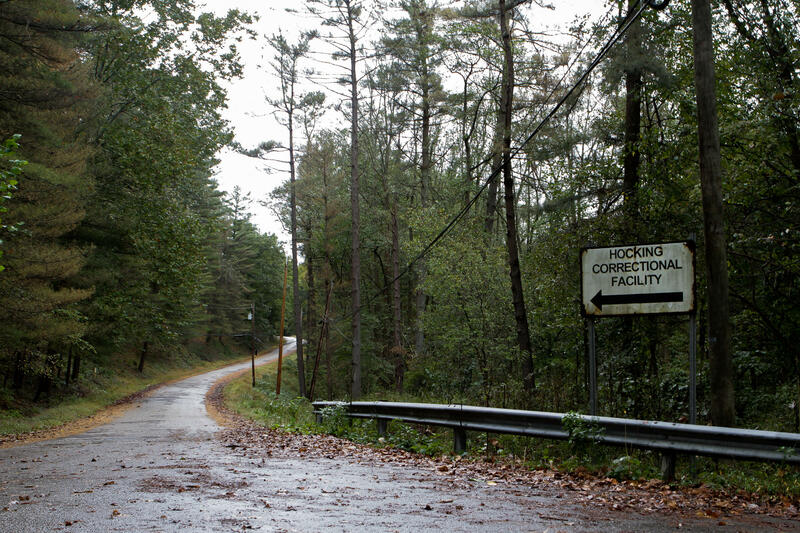 The Appalachian Recovery Project hopes to lease Hocking Correctional Facility for $1 a year, and use it to house women inmates with drug addictions. Along with treatment, inmates would also get help with job training. Local activist Janalee Stock helps women in recovery, and supports the idea for the facility. But she says the area doesn’t lack job training — it lacks good jobs. “Poverty and the difficulty to finding meaningful work is part in parcel of what contributes to that feeling of hopelessness that can lead to, ‘Well, let’s just take a drug and we won’t have to feel what we’re feeling,’” Stock said. There are many obstacles to repurposing the old prison, but Hodges hopes the new facility will welcome its first inmate in March — just one year after Hocking closed its gates. Right now, Heartland High School doesn’t look like much — just a few rooms on the second floor of Broad Street Presbyterian Church on Columbus’ East Side. WYSO’s Recovery Stories series brings you conversations from the heart of Dayton’s opioid epidemic. 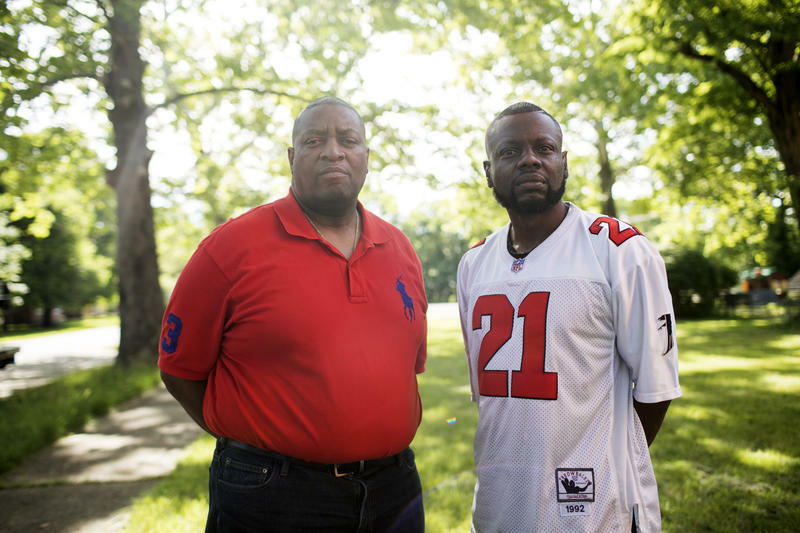 In this story, we meet Trotwood-native Andre Lewis and his friend and recovery sponsor William Roberts. Roberts works in social services in Dayton and is a church pastor with nearly three decades clean. As Lewis explains in this story, he first met Roberts at a treatment program for struggling addicts. What follows is a transcript of their conversation, edited for length and clarity.